New research from Hitachi Capital Business Finance reveals that 46 per cent of small businesses in the manufacturing sector are confident about growing their business over the next couple of months. 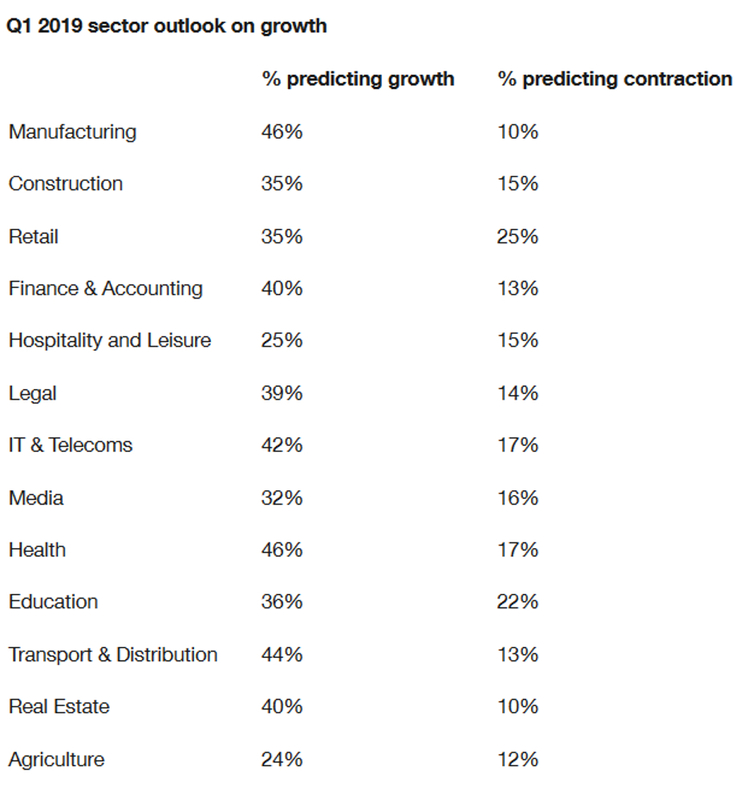 As part of its five-year tracking study of small business hopes and fears, Hitachi Capital Business Finance asked 1,177 small business owners in 13 sectors to give their outlook on the months ahead, specifically whether they predicted growth or contraction. Overall, the small business community’s youngest entrepreneurs (those aged under 35) are the driving force behind the sector’s optimism this spring. With Brexit uncertainty still dominating Westminster, more than half the UK’s young generation of small business leaders (53 per cent) say they feel optimistic about growth in the months ahead. Also weathering the political and economic storms were enterprises operating in the Transport & Distribution sector (44 per cent), as were those in IT & Telecoms – which saw a quarter-on-quarter rise in business optimism for small enterprises in the sector (42 per cent, Q1 2019 vs. 31 per cent, Q4 2018). Small businesses in the North East (48 per cent) and the North West (44 per cent) were thriving under the unpredictable UK economic climate and were the most likely to be forecasting that their companies would grow in the next three months. In Wales, small business growth predictions were bleaker. More than two in four Welsh small businesses (27 per cent) said they would struggle over the course of the next three months – more than double the figure this time last year (13 per cent). Contraction levels have also risen for those small businesses based in Scotland. This quarter, 24 per cent of Scottish respondents said that their business would struggle, rising sharply from three per cent at the end of last year. Gavin Wraith-Carter, managing director at Hitachi Capital Business Finance, said: “It is clear from our latest data that small businesses in some sectors are feeling vulnerable and, for many, Brexit uncertainty may be exacerbating their concerns. That said, there are many small businesses that are already going towards uncertainty, seeing it as an opportunity to grow and seize market share. “The research shows that small businesses in the manufacturing industry are the most versatile in the face of uncertainty – and this despite the unease felt across the sector over recent months.